Growing up in a large Danish family, butter cookies were a vital part of our celebrations and family shindigs. 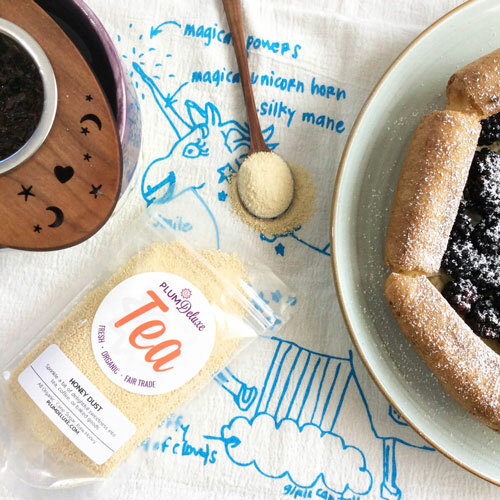 I love them fat and crumbly from the tin, thin and crispy out of my grandmother’s oven, or round and soft with a jewel-like candied fruit pressed into the center. 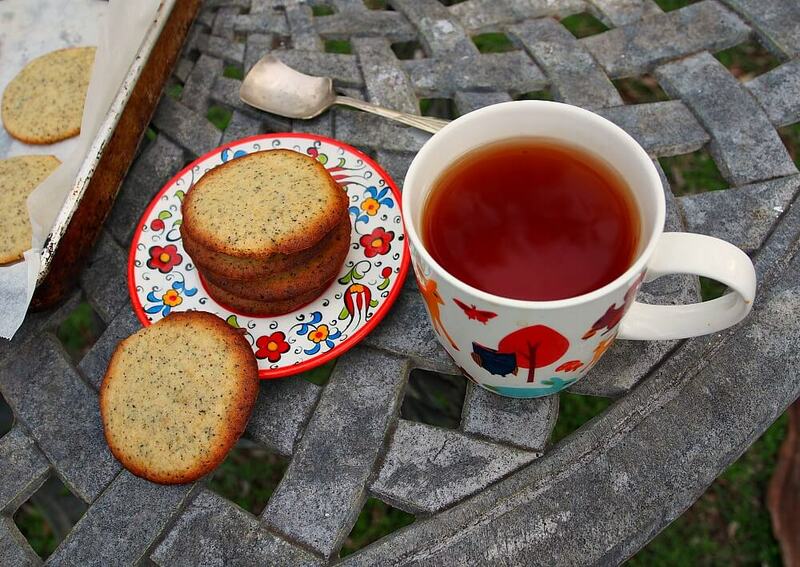 This week as the skies clouded over and rain threatened, I made delicately crisp ones, Earl Grey butter cookies that smell heavenly and shatter brilliantly into delicate shards that melt on the tongue. 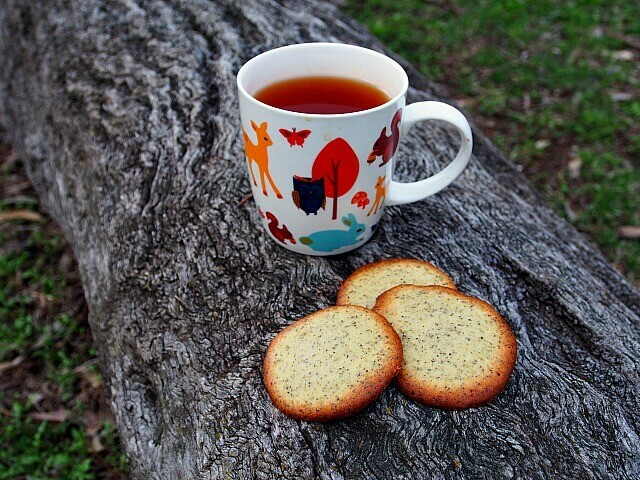 Butter cookies pair beautifully with a steaming cup of Earl Grey tea, so it only makes sense that the bergamot scented leaves would enhance the cookies themselves, especially with a pinch of orange zest to amp up the citrus notes. Rather than making tea to give the butter cookies Earl Grey flavor, I steep the tea leaves in hot, melted butter instead. 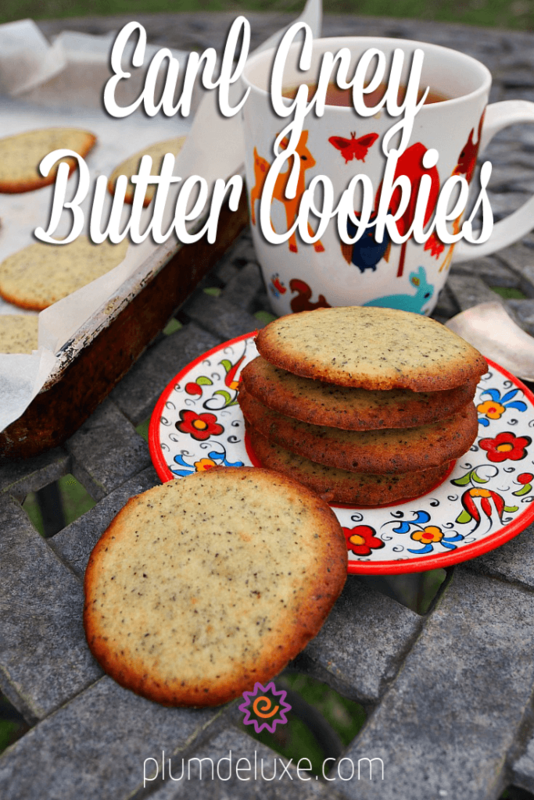 Once the leaves have steeped sufficiently, you can strain them out and just use the infused butter to flavor the batter, or you can, as I did, leave them in, allowing the tiny leaves to speckle the cookies as if they were poppy seeds. Baking with melted butter also helps the cookies crisp up well, a delightful attribute that takes these cookies from plain to sublime. 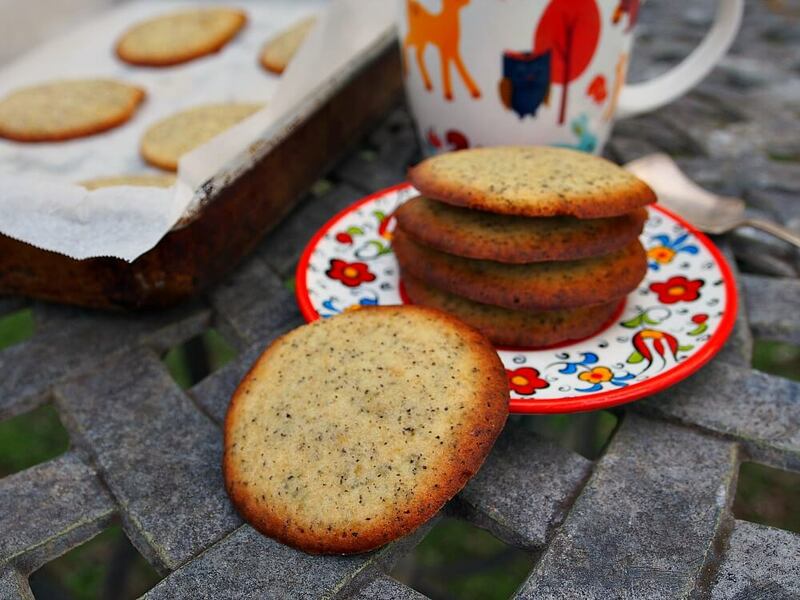 When baking the Earl Grey butter cookies, you may be tempted to pull them out of the oven when they start to brown. Resist the temptation. Pulling them out too soon will result in nice but soft cookies. With such delicately flavored cookies, the crispy texture is essential for the ultimate flavor experience. Let them bake until the edges are a rich brown while the centers remain pale. As they cool the butter cookies will harden into delightfully crunchy morsels that enhance the fragrant Earl Grey tea flavor. Once the butter cookies are cooled, they can be eaten as-is or sandwiched together with a thin layer of citrus-flavored icing made with softened butter, powdered sugar, cream, and orange extract. Simply beat all the ingredients together until smooth and thick yet easily spreadable. You could also thin the icing with a bit of milk and use it as a drizzle. If you don’t like your butter cookies too sweet, set them on a cooling rack over a baking sheet, then melt a few squares of very dark chocolate and pour a thin stream over each cookie for an extra bit of decadence. 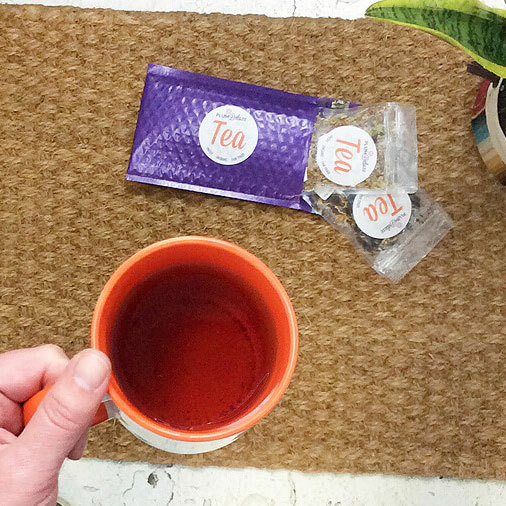 If Earl Grey isn’t the flavor of tea you fancy, feel free to experiment. 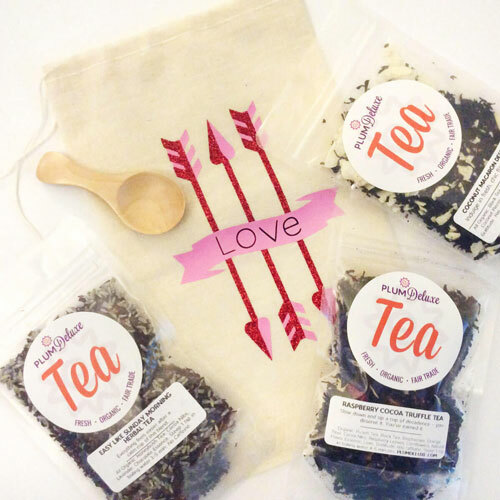 Nutty teas such as almond or hazelnut would make a beautiful flavoring for crisp butter cookies, especially if you added a few teaspoons of finely ground nuts to the batter. Citrus teas would also work well, and you can enhance the flavor with a sprinkling of grated orange or lemon zest. 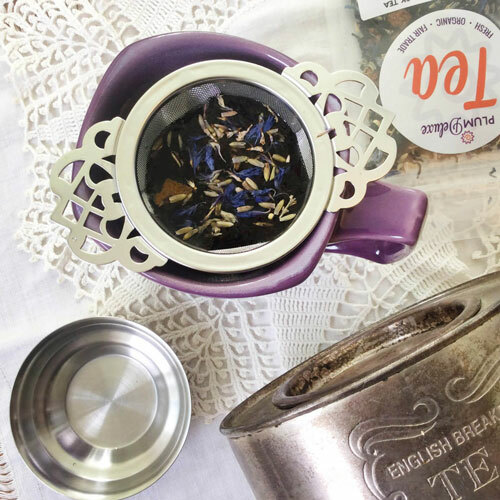 Flowery teas such as hibiscus or lavender would make fine additions to a butter cookie, and would be especially pretty with a sprinkling of dried, edible flowers dusted atop a vanilla icing drizzle. Preheat oven to 375Fº. Line baking sheets with parchment paper. Pour melted butter into medium bowl, add Earl Grey tea leaves and orange zest, and let steep 3-4 minutes. Add sugar and salt and mix well. Beat in egg whites, one at a time. Gently stir in flour and cornstartch until just blended. Using a teaspoon, place rounded pieces of dough on baking sheet about 2 inches apart. Bake 8 to 10 minutes until edges of cookies are beautifully browned. Cool on racks and eat warm or cold.